Another hour in the day, and another look at a potential issue that people are facing with the brand new Electra jailbreak. This time, it’s not about an error during the process per se, but more about not being able to actually invoke and get access to Cydia without a crash happening each and every time. Some of the issues with the current Electra jailbreak are relatively easy to solve and get past. Others, however, are slightly more complex and involve a complicated set of steps and troubleshooting to actually get them out of the way. This issue, which involves Cydia crashing on launch, is some of the easier issues to solve and thankfully doesn’t take a great deal of effort. First of all, download the developer account version of Electra. This uses the multipath tcp exploit and offers a different jailbreak experience for those who have access to a developer account. You can grab that from the Electra website under the “Download (dev account)” option over at coolstar.org/electra. Make sure that Airplane Mode is active on the device that’s going to be jailbroken. Make sure that both Siri and Find My iPhone are disabled on the device. Finally, make sure that all of the device’s RAM is cleared up. You can find out how to do that here. 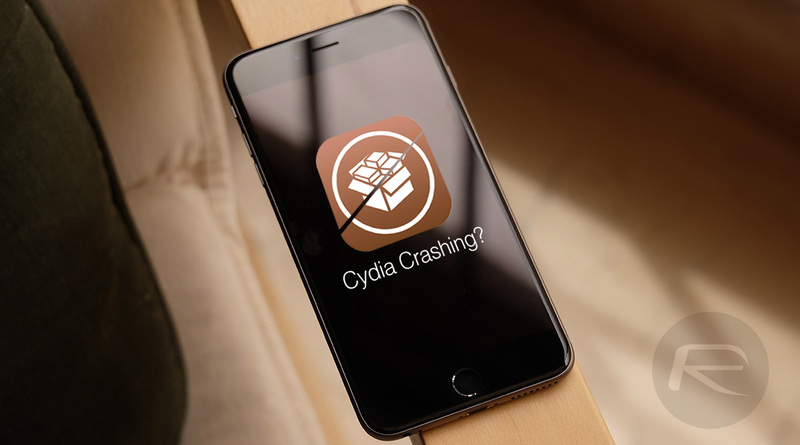 Once all of the above steps have been followed, then you should be able to jailbreak the device again using the multipath version of the jailbreak and get immediate access to Cydia. This, of course, does come with the downside that you will need an active Apple Developer account for this to work. If you continue to have the problem then it’s definitely worth going through the process again and seeing if a second or third attempt resolves the problem. If not, then it could be prudent to take a step back and wait to see if the development team provides an official response to this. I’ve got Cydia but it won’t download anything I keep getting dpkg error can anyone help? “easier way”? what do people do without dev account? seems like my device is jailbroken now becauase i have ssh access and cydia installed (didnt show up first, had to uicache with ssh) BUT when i open it it crashes like it is saying in the article. no toher fix? This worked for me. I had trouble like many with this one. Ran Electra many times being sure to follow everything to a “T.” Ended up having to backup my device and clear all data, and settings. After I did that though, Cydia was on my home screen leading me to believe one of my many attempts actually worked but I was getting the invisible cydia glitch that corrected itself during the reset. Following the above directions got it all working… now to sit and wait while my phone restores from back up. Feels good to finally be back on a jailbroken device. Hello, i did jailbreak and after so many times Cydia appeared. But when i touch Cydia, it crashes. It won’t open. What can i do? thats exactly my problem too. cant open cydia it just crashes and nobody seems to want to help or have any idea how to fix this.. I found a solution. Just re-jailbreak your phone. If you succesfully do it, you will able to use Cydia. How is it looking now Chris? I’ve jailbroken it a few times already but my issue is that it only works when it’s on a fresh restore. Cydia works just fine but once I start restoring my phone with the apps and all, and it finishes, Cydia just crashes when I tap on it. I am in the same situation. Have Cydia and it crashes as soon as I open it. Can you provide more information for us? What phone? Firmware? Which Electra version did you use and perhaps some steps that you did to achieve that? Thanks a lot! !